Back Johnson at 28/1 for Top American with William Hill. Ah, Carnoustie, a beast of a course that the Americans christened "Car-nasty" due to its ability to create golfing carnage at the best of times, but especially when the wind blows, something that's not exactly uncommon this far north and flush to the sea. The finish, in particular, can be torrid. The long par-3 16th followed by two holes which both twice cross the Barrie Burn guaranteeing that one of them will be in to the wind, always assuming that the pair of them are not being hit by a cross wind. Evil golfing genius and this week being baked dry by the endless hot spell are sure to make for some interesting golf betting. The European Tour plays at Carnoustie every year, for one of four rounds at the Dunhill Links Championship, so it is possible that regulars at that event have an advantage. Or do they? It's often noted that the conditions are very different: very little rough, easy pin placements (to assist the amateurs) and Danny Willett noted last week that the pin placements are the same every year. The flipside is that the views from the tee box, and the lie of the land for approaches, won't change. But again, do they? Stephen Gallacher believes they are very different. 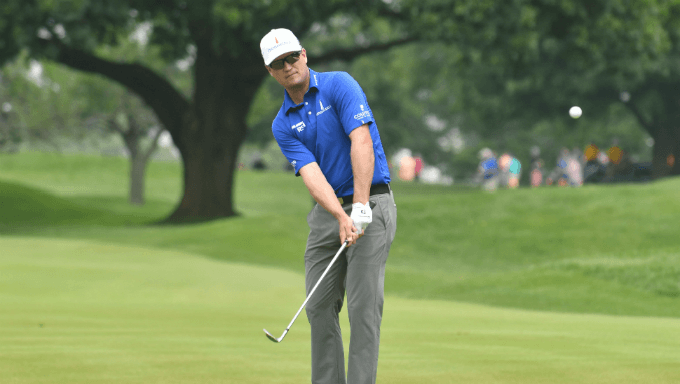 There is something about Zach Johnson that inspires a shrug from the wider golfing world. The 42-year-old is a 12-time winner on the PGA Tour, two of them majors (including the 2015 edition of this championship), and yet if you talk him up you'll be met with a series of "yeah, but" counter arguments. I'm not having it though: for this week of the year at the very least he is better than the luxury grade journeyman some seem to have him pegged down as. He's proved it not just once or twice, but consistently. Before 2011 he had one top 20 in seven starts; since then he's flipped it completely: six in seven. It started with T16th at Royal St Georges, the next two years he was T5th heading into the final round, he managed only T47th at Royal Liverpool in 2014, but won 12 months later, was T5th at halfway in 2016 and T14th last year despite an opening lap of 75 which had him 121st after 18 holes. He's good at this stuff. Very good. He's been talking a great game in press conferences the last few months, repeating time and again that he's hitting the ball further than ever before. His form reads T12th-T19th-T16th and he's available at 28/1 with William Hill to be the Top American. There is something about this part of the world which makes Argentinian golfers feel very comfortable. Quite what that is (a secret tango night in Dundee maybe?) who knows, but in seven championships at Carnoustie there have been seven top tens from the Argentines - something bettors should definitely consider. This year there is only one representative from that country in the field, but a glance down his history suggests that it's far from out of the question that he has it in him to join that elite band (which most recently includes Angel Cabrera in 1999 and Andres Romero in 2007). The man in question is long game specialist Emiliano Grillo who plies his trade on the PGA Tour these days, but has experience of links golf from his early years on the European Tour. For example, he broke 70 in Irish Open first rounds at both Royal Portrush and Royal County Down to lie top 20. Admittedly he didn't kick on in those weeks, but he proved it's not beyond him when finishing T12th in the 2016 Open. He's a three-time visitor to the Dunhill Links Championship so has experience of the challenge and has broken par at Carnoustie. He's also logged three top tens at East London, a South African course that is by the ocean and fast-running. The clincher is his form in 2018: he's landed top 20 finishes in half of his 16 appearances. He's available at 10/1 with Paddy Power to make it eight Argentine top tens at Carnoustie. In recent years players have been pretty resolute about the value of pitching up at the Scottish Open to get their game ready for this week. Padraig Harrington says, quite simply, that you can never play enough links golf ahead of the Claret Jug test. Phil Mickelson, Henrik Stenson and Rory McIlroy have all credited Open wins with the week spent at the Scottish beforehand. Last year Matt Kuchar and Rafa Cabrera Bello made the top five at Royal Birkdale after a week at Dundonald Links. So who will make the most of last week in Gullane? Ryan Fox has an interesting links record, but let's steer towards the favourites. Rickie Fowler was second at the Masters this year, is a past winner of the Scottish Open (in 2015), has never finished outside the top ten in that event (in four visits) and owns a pair of Open Championship top tens. He finished sixth last week and is 18/1 to win on Sunday with Unibet or 16/1 with Paddy Power gets you an each way return if he makes the top ten.